A grinning thug from Grimsby posted a sick Facebook post as he sat in court waiting to be sentenced for assaulting a woman and threatening to throw her terrified toddler out of a window. 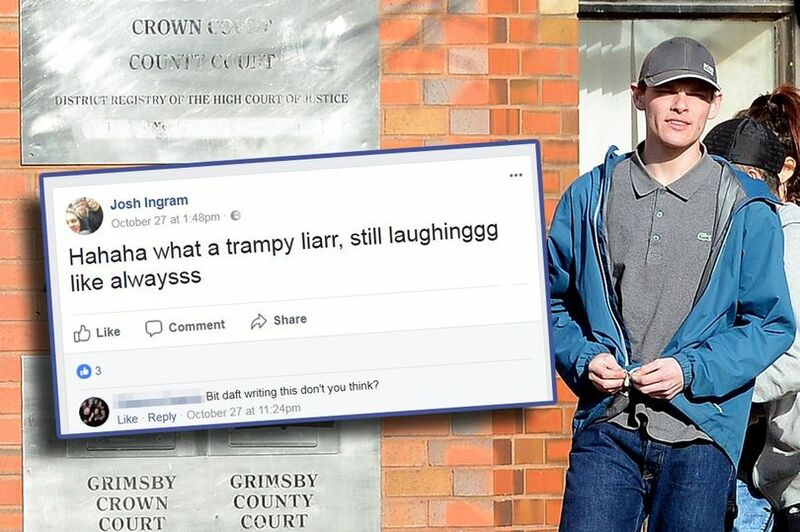 Josh Ingram, 18, of Gilbey Road, joked and larked about with his supporters outside Grimsby Crown Court after he escaped jail, despite admitting charges of making threats to kill, assault and causing criminal damage. But moments earlier, while still in court, Ingram made an abusive post on his Facebook page which appeared to be directed at his victim. Swaggering Ingram, described by his own solicitor as a “stupid young man”, walked free from court at 1.10pm after being given a suspended prison sentence and a life ban from contacting his victims. A woman who appeared to be a relative later replied to his status, posting: “Bit daft writing this don’t you think? The court was told how Ingram had shoved the toddler’s head into a wall, put a knife against his mum’s face and tried to smother her with a pillow during the terrifying ordeal on May 7, in which he told them both they would die. During the court case, Craig Lowe, prosecuting, told Grimsby Crown Court that Ingram was at the home of his ex-girlfriend when his mood changed and he became very “nasty” towards her very young son. Ingram “smashed up stuff” and threw the boy’s rocking horse across the room. The boy was screaming and shaking. “He accepts his behaviour was completely beyond the pale,” said Mr Hackfath. Ingram was given a two-year suspended custodial sentence, 150 hours’ unpaid work, a three-month curfew, two years of supervision and 30 days’ rehabilitation. A 42-year-old man appeared in court for carrying a pen that could double-up as an offensive weapon in Dover. Darren Vincent from Gillingham was arrested after he was spotted carrying a “Military/Tactical Pen” in Folkestone Road on January 30, when far-right and anti-fascist protesters clashed in Dover. Then pen is typically made out of solid metal. It can be used as a “last-ditch self-defence tool”. Vincent appeared at Thanet Magistrates Court on June 6 and was sentenced to 77 days in prison suspended for 12 months. He was ordered to carry out 100 hours of unpaid work in the next 12 months and was given a three month curfew to stay at home between 9pm and 5am. He must also pay £85 in costs and an £80 victim surcharge. 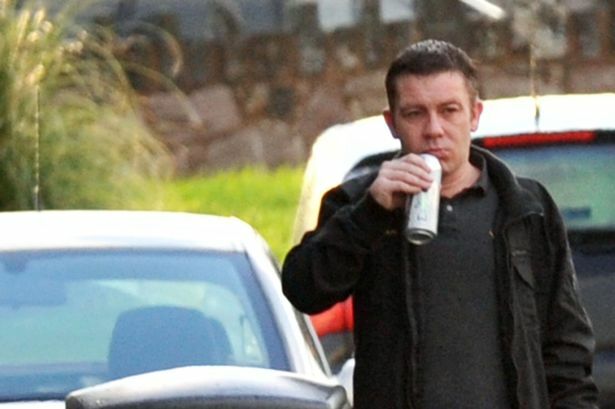 A man has been given a suspended prison sentence for a firework attack on a mosque. 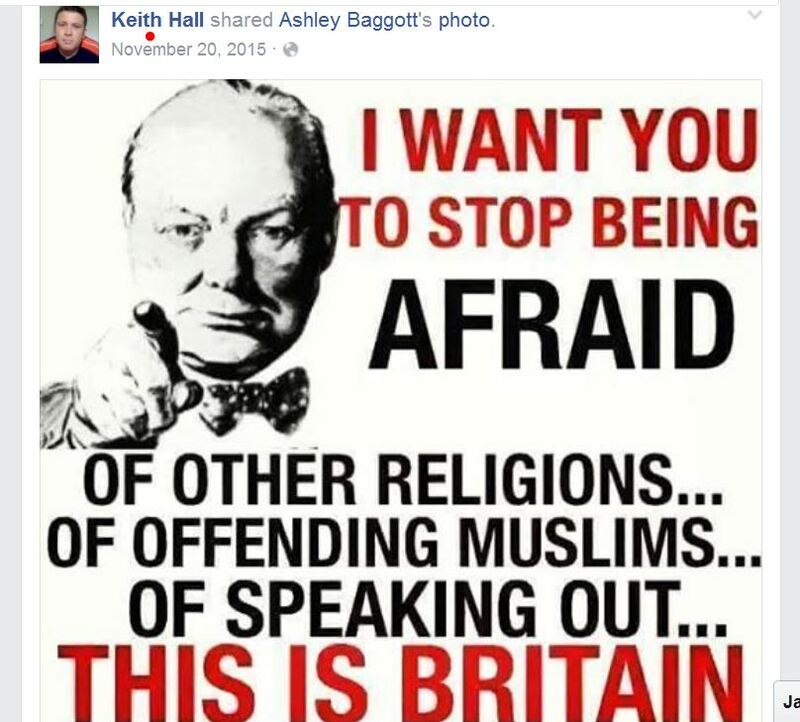 Magistrates saw video footage which showed Keith Edward Hall twice approaching the Islamic Centre in Rhyl, lighting the fireworks and pushing them through the letterbox on November 11. Having seen the film, Prestatyn magistrates expressed surprise that no-one else has been charged in connection with the attack. Hall, 38, of Bath Street, Rhyl, had pleaded guilty to religiously aggravated criminal damage at the centre in Water Street. 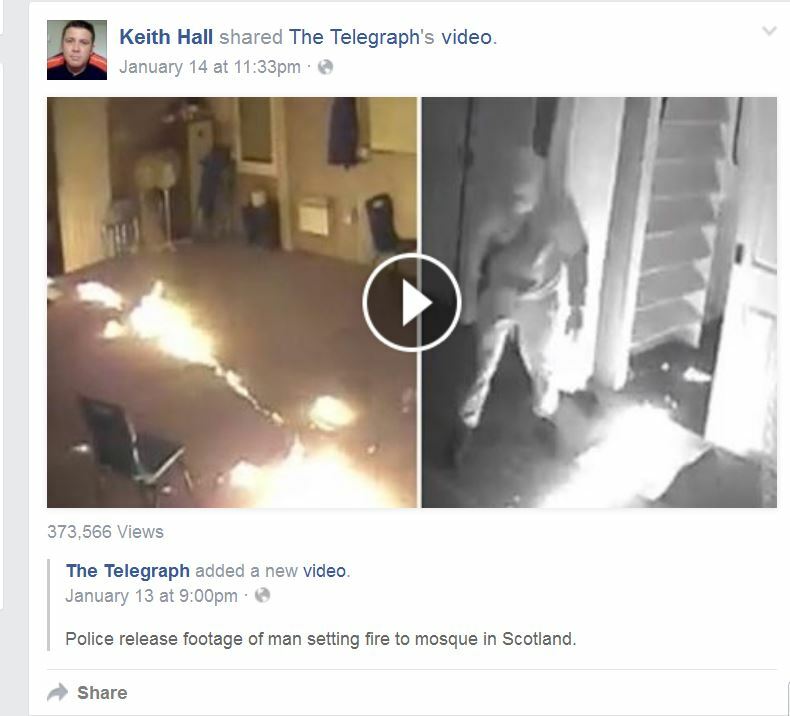 In the footage, filmed from the doorway of the Bow Bar opposite, Hall was seen approaching the mosque twice in 20 minutes. In a victim impact statement, Rafiq Ullah, the centre’s treasurer, said the damage could have been much greater had they not taken measures to improve fire safety after a previous incident. He said people could easily have been injured as the prayer room was behind the door. The incident occurred only two days before the Paris shootings, and Mr Ullah said tension at the mosque was high in that period. It eased when Hall was arrested. When interviewed, Hall said he could remember very little about the incident because he had drunk eight litres of cider and eight shorts. He woke up the following morning with a sore arm where part of the letterbox surround had hit him when it was blown off. He denied being a racist and claimed to have several friends from ethnic minorities. Alex Fitzgerald, representing Hall, said he found it “astonishing” that no-one else had been charged even though they were interviewed. Mr Fitzgerald told the court that Hall did not even realise that the building was a mosque. 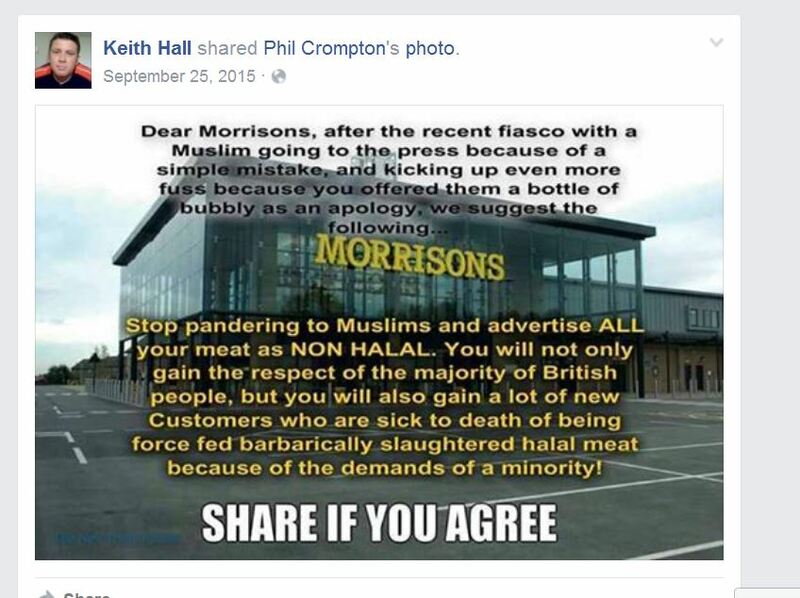 “It was not born out of a deep-seated hate of the Muslim community, but was an act of utter stupidity,” he said. Hall was given a 16-week prison sentence suspended for 12 months, and must also observe a 7pm-7am curfew and attend a six-month alcohol treatment course and 25 days of rehabilitation. 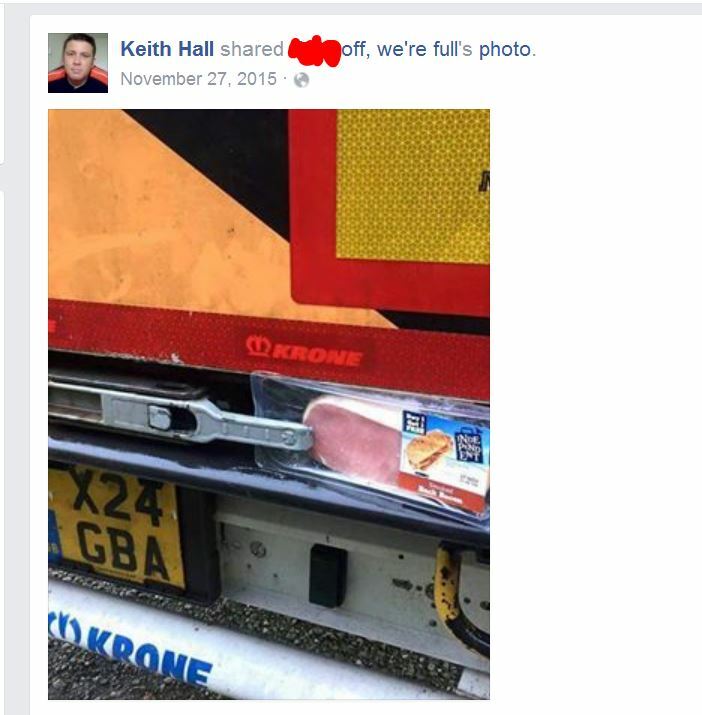 He was also ordered to pay compensation of £558, costs of £300 and a surcharge of £80. The Bench made a restraining order prohibiting him from entering Water Street for 12 months.